On our recent tour of southern Utah, we ventured out to Cleveland Lloyd Dinosaur Quarry. 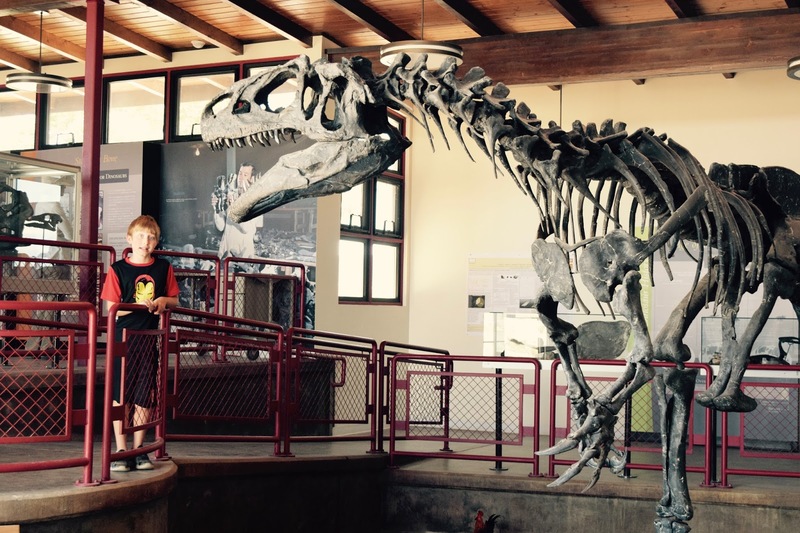 Our son really wanted to visit Dinosaur National Monument in the northeast of the state but it was just too far away from our other stops. 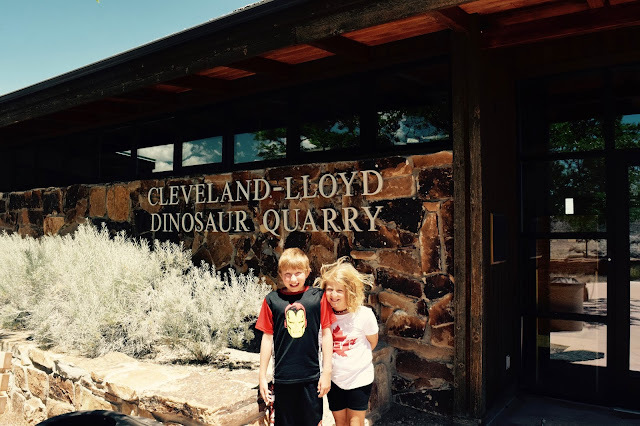 So, when I saw "dinosaur quarry" marked on a road map and that it only required a short detour on our way to Salt Lake City, I thought it would make a decent substitute. It turns out that the Cleveland-Lloyd Dinosaur Quarry has been a treasure trove of Jurassic aged dinosaur bones for scientists across the globe. Inside the visitor center are cast molds of dinosaur bones actually found at the site most of them carnivores with the majority being Allosaurus. 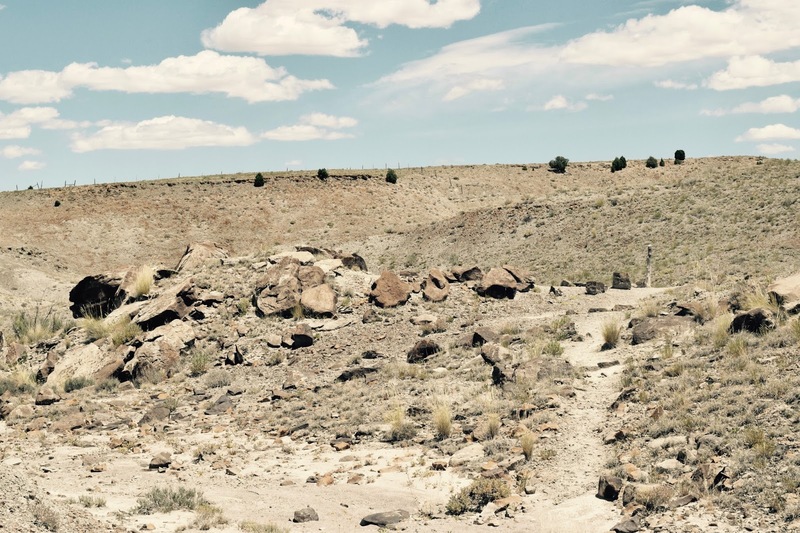 The fossils found at this site have been sent to museums and universities around the world. Jonah and I hiked a portion of the trail on the property. 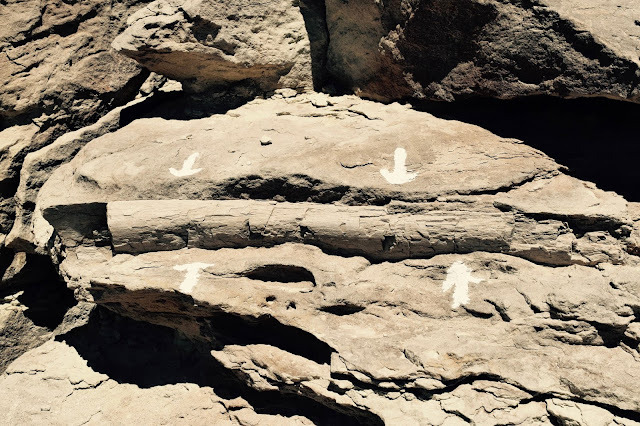 The first stop on the trail pointed out a sauropod rib in the cliff which was pretty cool. But Jonah desired to find a dinosaur fossil himself, so I encouraged him to look in places where water would flow during a rain. Lo and behold he found a contender. I took a picture and we placed the rock back where we found it. 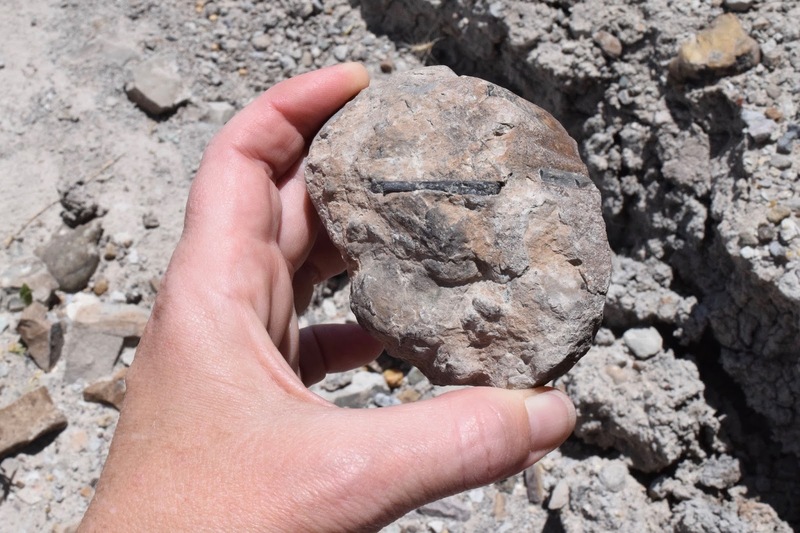 When I showed the picture to the staff member he confirmed that it was a fossil and even said that we may be the first visitors to actually find a true fossilized bone and suggested that it was likely a small rib bone of a young Allosaurus! As far as I'm concerned our mission was accomplished.